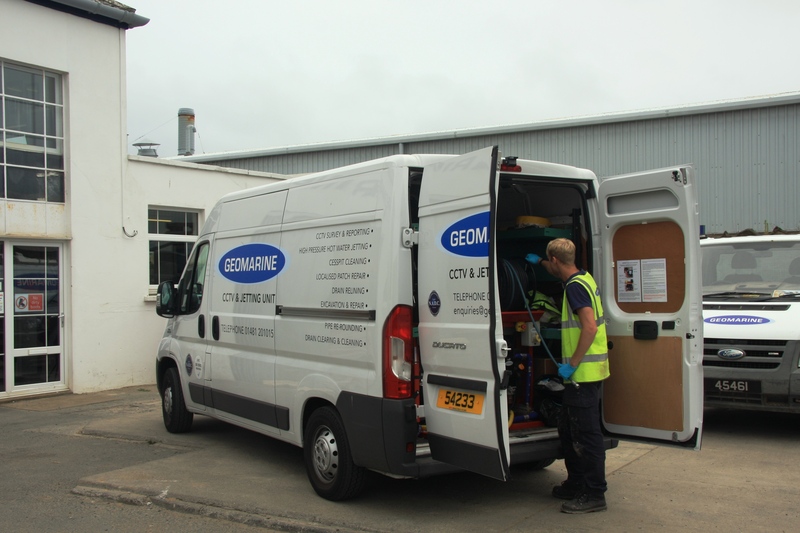 Geomarine in Guernsey have extended their vehicle fleet with four new Fiat vans. The first of the purchases being a Ducato panel van fitted out with a hot water jetting system and drain camera to enhance their drainage division, followed up by three Doblos that will be used by their site foreman, after the company found this type of vehicle perfect for their needs. Geomarine’s Transport Manager Mark Vaudin is pleased with their new vehicles. The Fiat Doblo’s are a new range for Geomarine, but the company also use a Fiat Ducato van in their drain survey division and have a number of Renault trucks also supplied by Rabeys. Rabeys Managing Director, John Waterman talks about the benefits of the Fiat Doblo. The many variations of the Fiat Doblo available include: standard van, maxi van, high roof van and the workup or a chassis cab with load platform. For more information on the Fiat Doblos, the new Fiat Professional range or any other new or used commercial vehicles, contact a member of our team.